Wing is a small village lying to the south of Rutland Water, approximately equidistant from Oakham and Uppingham (see map). It is home to some 300 people, some of whom live in 17th century houses built from ironstone quarried in nearby Barnack or Clipsham and roofed with slates from Collyweston. 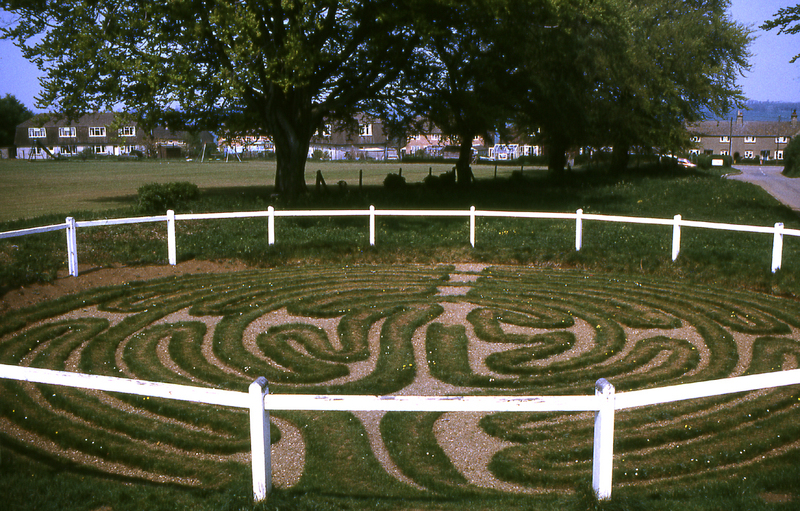 Wing turf maze is one of only eight known to exist in England. Mediaeval Monks may have crawled along the lines, stopping at points to pray and repent. This is what Wikipedia says about us, Stone Circles said of it. WING (St. Peter and St. Paul), a parish, in the union of Uppingham, hundred of Martinsley, county of Rutland, 3½ miles (N. E.) from Uppingham, near the road to Oakham; containing 302 inhabitants. It comprises 1044a. 3r. 6p. ; the surface is hilly, and the soil in general a good red earth. The living is a rectory, valued in the king’s books at £7. 5. 5., and in the gift of the Crown, with a net income of £340 per annum: there is a parsonage-house, and the glebe contains 195 acres of land.